Kudos to Oscar-winner Jared Leto for reminding us that democratic revolutions are occurring in two hemispheres, not one. Sadly, U.S. President Barack Obama and Secretary of State John Kerry, focusing on other important issues, ignored both for weeks. President Obama did not even mention Venezuela at a recent summit in Mexico. Moreover, as in 1968 Prague, U.S. intelligence only found the Russian troops when they appeared in the Crimean capital. 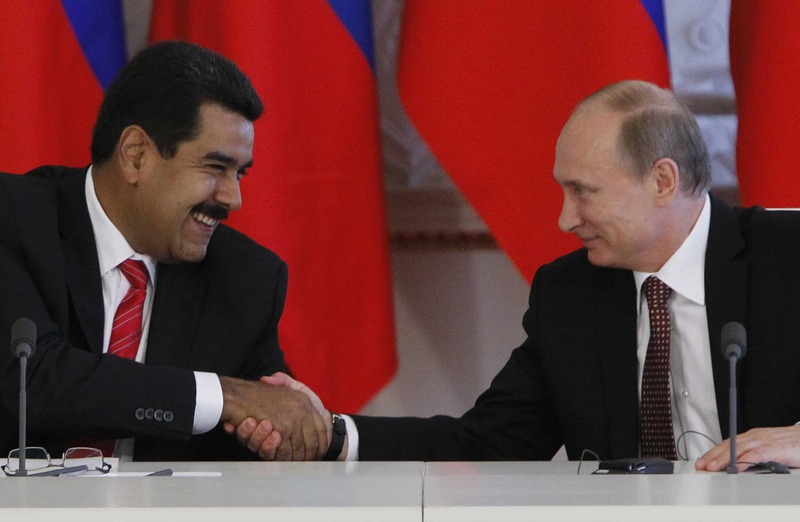 Meanwhile, with remarkable similarity, both Nicolás Maduro and Viktor Yanukovych are democratically elected thugs, who abused constitutional powers, and to paraphrase James Madison, sought to “aggrandize themselves by confusion of their country.” The late dissident playwright Vaclav Havel, president of Czech Republic in 1989 after its more than 40 years of Soviet-Babylon captivity, commented that socialism does not provide a dictatorship of workers and peasants, but a dictatorship of the nomenklatura. In 1968, this Czech-born writer personally experienced the USSR’s brutal violation of Czechoslovakia. Actually, little has changed in Russia’s methods, twixt then and now. In 1968, its soldiers came to protect communist brothers from counter-revolutionaries and Nazi revanchists. Now they claim to be protecting Russian citizens from Kiev fascists and anti-Semites. But let’s be clear. Putin is neither a KGB thug, nor delusional. An economic reformer, he is wholly dedicated to Russia’s national interests. And for sure, there is more to the “why” of the Crimea. Largely landlocked, Russia has only one warm-water port, Sevastopol, the Crimean site of Russia’s Black Sea fleet. The Black Sea is her only link to the Mediterranean and the Middle East. The strategic importance of the Crimea to Russia has only grown with existing and planned gas and oil pipelines. Having possibly written off the Western Ukraine, Putin may be considering the transfer of oil and gas through and around Crimean pipelines crossing the Black Sea to Western Europe. Unlike Putin, Obama is neither a decisive leader nor a skillful strategist, leaving him at the mercy of improvisation. Yet, surprisingly, in the present scramble for options, nobody in the U.S. government has suggested a still unexplored means for punishing Russian aggression. The Russian Navy has been flexing its muscles and itching to again project its power globally. Thus we bring into focus that other revolution, Venezuela’s. After the 2008 Russian intervention in Georgia, where Putin carved out South Ossetia and Abkhazia, a Russian Naval task force was sent to the Caribbean to court its radical, anti-U.S. regimes. Notice that Nicaragua and Venezuela were the only countries to recognize the legitimacy of the carved out Georgian regions. Naval maneuvers in 2008 were conducted with the Venezuelan Navy, together with visits from strategic nuclear bombers. Nor should we forget the linkages between Venezuela and the Middle East. Our research suggests that Venezuelan uranium is regularly flown to Tehran, while multitudes of Iranians and Syrians have flocked to Venezuela. This is not to suggest that the U.S. should use its hard power in these countries. The time for military interventions in her “Near Abroad” is long past. What the U.S. must do is further the democratization processes, first in Venezuela, but also in Cuba and Nicaragua. Organizations like Freedom House or the American Endowment for Democracy can help. The support of diverse programs and their increased funding should be obligatory. Dr. Jiri Valenta headed a post-revolution, Czech Foreign Ministry think tank. A member of the Council on Foreign Relations, he is current president of the Institute of Post-Communist Studies and Terrorism http://jvlv.net). The opinions expressed are the author’s, and do not necessarily reflect the opinions of The Tico Times.